Meghan Kee is a morning reporter for the Eyewitness News at WWL-TV in New Orleans. She joined the team in September 2018. 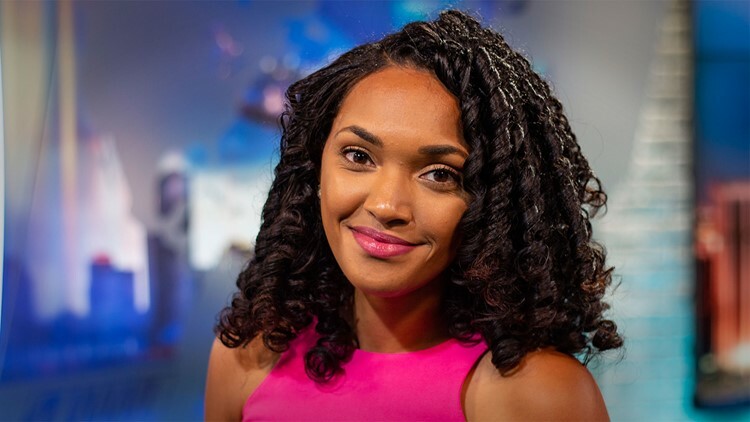 Prior to moving to the “Big Easy,” she worked in Northwest Arkansas as a reporter and fill-in anchor for the last three years. There, she covered countless stories including, Walmart layoffs (Northwest Arkansas happens to be the corporate home of Walmart); a mumps outbreak and how school officials got it under control; various swift water rescues; and the Bentonville Film Festival. Meghan’s journalism journey began years ago in the fourth grade, when she realized she wanted to help people by telling their stories. She looks at each day as a new chance to make a difference. Meghan is a proud Hampton University alum! In her spare time, she likes to binge watch her favorite TV shows, cook, shop and spend time with her family and friends. She’s so happy to transition from tourist to townie! Meghan is excited to explore New Orleans and check out all the city’s quirks! If you have a story idea or a restaurant suggestion, please email Meghan at ​​​​​​mkee@wwltv.com or follow her on Twitter @MeghanKeeWWL.